Can You Guess What It Is, Yet? 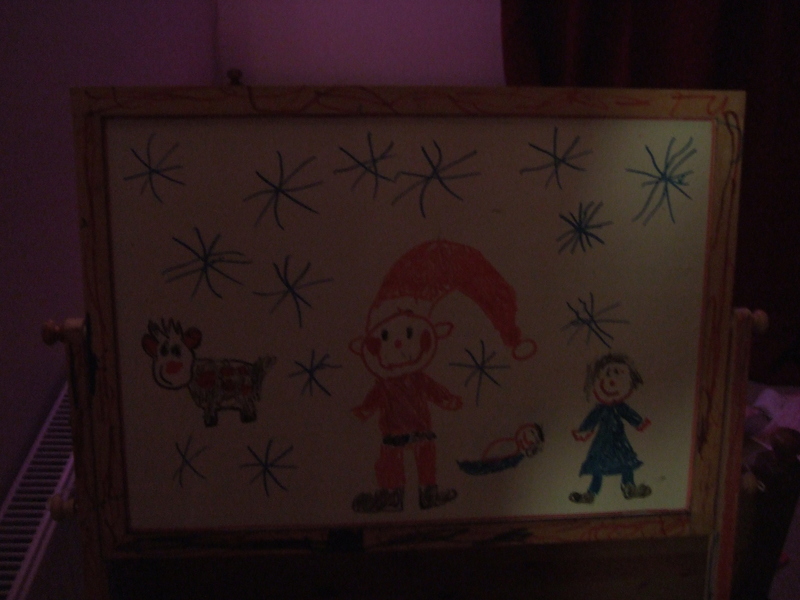 I’m including a pic of Maxi Minx’s latest scribblings on her bedroom easel. In case you can’t see what it is yet, it’s Santa surrounded by a young reindeer, Mary and baby Jesus. Maxi Minx interpreted my open mouth as being about to ask a question. “It’s a young reindeer because it only has little antlers”, she jumped in. “And those aren’t stars, they’re snowflakes. I just don’t have a white pen”. This entry was posted in Conundrum and tagged art, children by GrumpyOldTrout. Bookmark the permalink.